As the 100th anniversary of the sinking of the Titanic draws closer, the media is full of stories about the people aboard the ship. 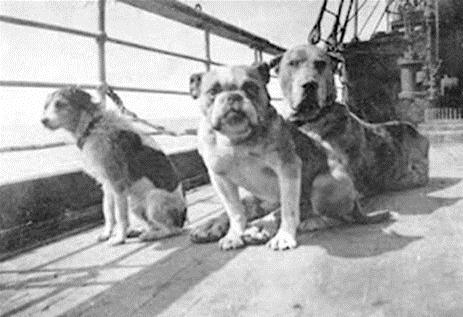 But a museum in Chester, PA has created an exhibit focused on the 12 dogs aboard the ill-fated cruise liner. This entry was posted on Wednesday, April 11th, 2012 at 1:42 PM. It is filed under Blog. You can follow any responses to this entry through the RSS 2.0 feed.